Wall Mount, for single use and passthrough applications. 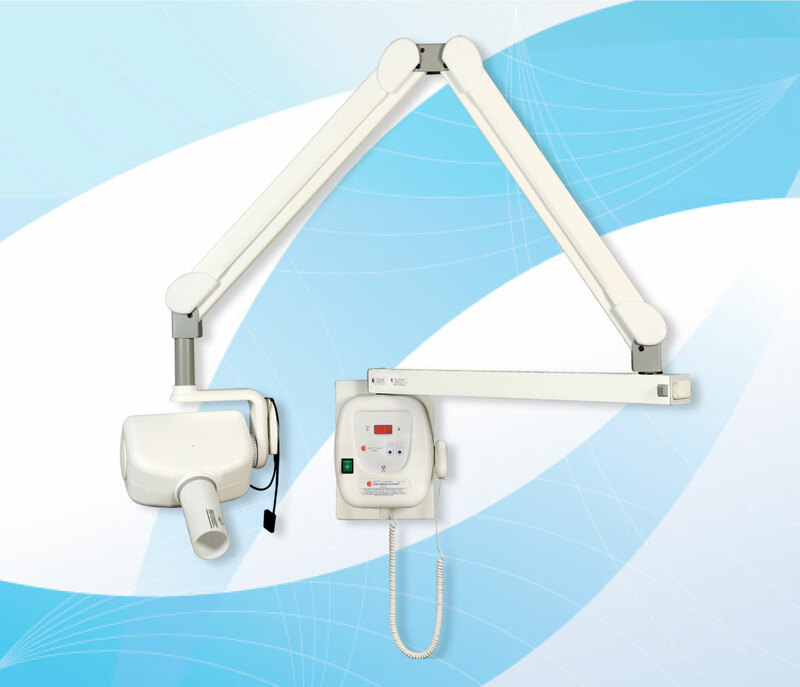 Designed both for Film or Digital Radiography. The exposure Time is selected and shown on a bright 3 digit display. Full protection against x-ray tube overheating: the microprocessor controlled circuit will automatically set the minimum cooling period, thus extending the Tubehead life. RATED TUBE POTENTIAL: 70 KVp +/- 7% (Single phase, self rectified). EXPOSURE TIME RANGE: 0.03 to 3.00 s., in steps of 0.01 s. A pre-heating time of 0.23 sec. for loading the x-ray tube is not shown on the display. SOURCE TO SKIN DISTANCE: 200 mm. (8"). NET WEIGHT: Mod. WM (Wall Mount): 25 kg. Mod.MM (Mobile Stand): 44 kg. SHIPPING WEIGHT: Mod. WM (Wall Mount): 31 kg. Mod.MM (Mobile Stand): 51 kg.